Zika babies what does it mean ? 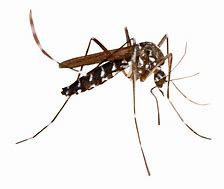 spread by mosquitoes its a disease that effects the brain. To begin with if the average person gets it, it isn’t that serious. But for pregnant women during the first trimester of pregnant its has devastating consequences. Especially for their growing baby. back in 2016 in the country of brazil babies were effected with this zika virus . Due to the number of babies it effect back in 2016 that’s how the name Zika babies came about. In addition 4000 babies from brazil got the Zika infection that causes Microencephaly. Its a tropical disease not known to be in the UK yet. During their mums pregnancy because the mothers got bitten in the first timester it caused birth defects to the growing babies brain. Incidentally the zika virus is a cause of microencephaly . Microencephaly means the head is smaller than an average newborn. The Brain doesn’t develop normally. As a result Babies with the virus have been known to be blind . Including Their development has been severe and delayed. It puts a strain mums due to carrying their children long stretches away from home. Just to get help from a clinic. In turn the clinics help with physio therapy to loosen up the stiff muscles in these babies it effected. Parents are also struggling financially with their babies effected. delayed development puts a strain on families who have other children. due to the disabled babies and the hard work the parents put in just to give them the best care. A few Babies get abandoned that have the virus too. Fortunately some do get adopted.